Is there anything worse than having to wake up from a nice, cozy night’s sleep? For a teenager, pretty much “no”. Even if, once you’re up, you do the best work you do all day, there’s just no way to be happy waking up early in the morning. That makes it especially hard for people like me who love wearing make-up, and love making it look good. When you have to wake up an hour earlier every day just to get the perfect look for school, you have a hard time deciding between looking like the diva you know you are, and being the sleepyhead you want to be. What’s the solution? I, personally, think it’s the Bare Minerals Illuminating Mineral Veil, which lets you sleep in and look great at the same time! Bare Minerals is owned by Bare Escentuals, which is 100% dedicated to making you look like you’re naturally as beautiful without make-up as you are with make-up. They use all-natural bases and make-ups for a natural, dewy glow that make you look like you just rolled out of bed looking that fabulous! Almost every ingredient in their entire product line comes from natural sources; no chemicals or lab products here! They also come in very attractive little containers. Liquid foundation lovers are out of luck, but even the staunchest liquid fiend can come to love their powders. And if it’s mascara or skincare you’re looking for, look no further. But I’m talking about the crème de la crème – Mineral Veil, a finishing powder that seals the deal on your usual make-up routine. This finishing powder is meant to complement your make-up, but it can easily be used as a one-stop-shop on those mornings that getting out of bed an hour early just isn’t realistic. It gives your face a fresh, natural glow that no one could resist. Will many different finishes, it’s sure to meet whatever needs you have. I personally love the Illuminating Mineral Veil, which gives you a shimmering effect for that all-natural glow we ladies love. It leaves you looking healthy and naturally spectacular. Apply as much as you like to cover acne scars, inflammation, or redness, and you’ll find your skin brighter and more healthy-looking in no time. Once you’ve got the Mineral Veil down as a base, you can touch up with some lipstick, blush, and mascara for a look that says “I spent all morning on this” when really you got an extra hour of sleep! If you’re of the fair-skinned breed, or if winter leaves you looking paler than a ghost, have no fear. Mineral Veil won’t oxidize, and it won’t leave you looking discolored. It can be hard to match pale skin to different shades, but Mineral Veil takes care of all that. 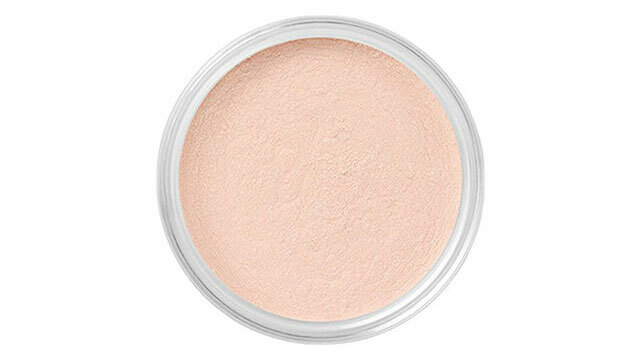 If you’re a fan of the all-natural glow, a fan of sleeping in on schooldays, or just need something to cover for you if you’re feeling particularly lazy, go for the Illuminating Mineral Veil for a quick-fix for your make-up woes. Not into the Illuminating style? There’s plenty more to try, and you’re sure to find your perfect shade!